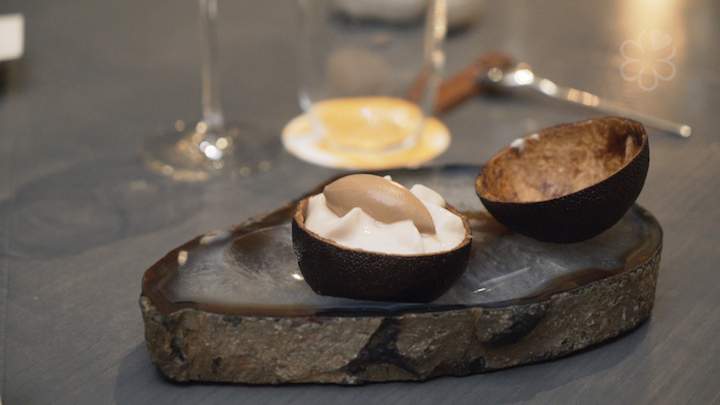 In previous features, we’ve delved on the concept of luxury and how the balance between a menu and restaurant atmosphere can bring about such an experience. 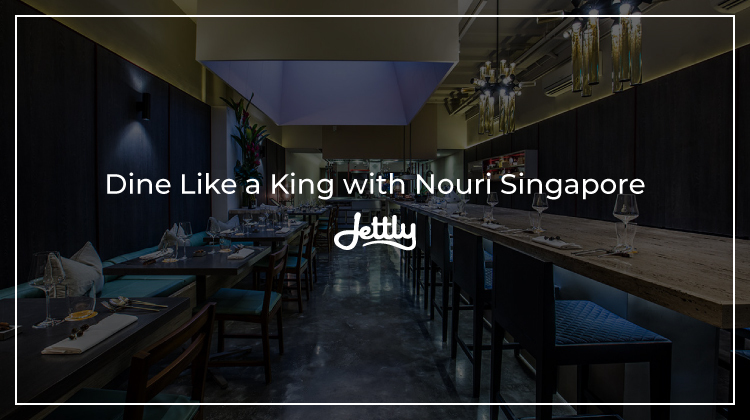 It is, after all, a formula that’s kept to form over the years—and there’s nothing that encapsulates this better than the Michelin-starred Nouri in Singapore. 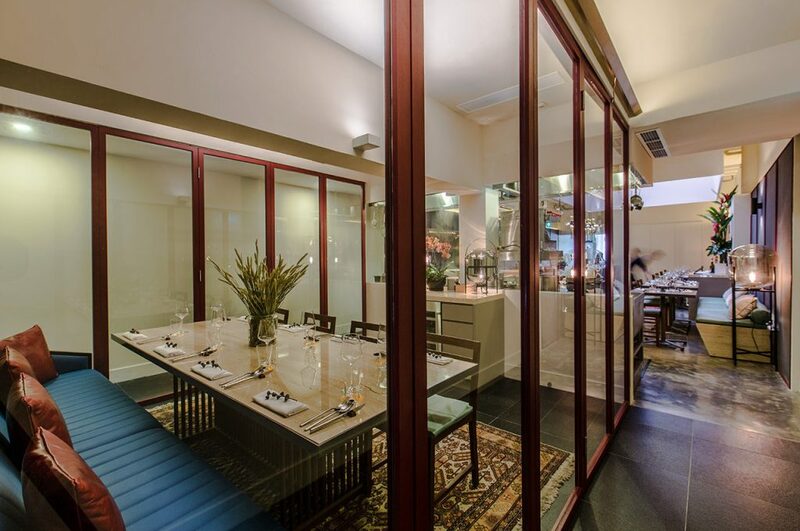 When you step into the restaurant, one can’t help but feel haut monde—sometimes, literally. There’s something about the establishment’s vertical orientation that imbibes the place with a sort of aristocratic elegance, from the wall panels to the high chairs. Its blue, greys, and beiges add further to the effect, both adding to that opulent allure while preparing you for the gastronomic experience to come. In any restaurant, the menu accounts for a good portion of its success, whether it’s a high-class joint or a simple eatery. For the more elite of establishments, however, the menu often falls into a particular state of specialization, and for a good reason—with a set cuisine, it’s usually easier to make sure that the quality of one’s dishes remains consistent throughout. To create a gourmet set with various cuisines in the mix is a little trickier. Fortunately, this is a boundary that Nouri goes over with grace. Its menu is filled with various international influences in each dish, as shown by its Italian burrata, Brazilian falafel, and French chicken. This sort of borderless cuisine is something that the restaurant name gives off quite subtly—”Nouri,” after all, is Latin for “nourishment;” a universal truth in the world of food. One can thank Chef Ivan Brehm for such masterful dishes. Being both the head chef and owner of the establishment, Chef Ivan had brought with him his years of experience from other restaurants—such as stints at Per Se, Mugaritz, and The Fat Duck—with his most famous accomplishment being his Michelin-starred run leading Singapore’s Bacchanalia. It’s no surprise then that his brainchild had yielded the same result. Aside from Nouri’s spectacular menu, there’s also that element of bringing everything together—from the food to the service, to the atmosphere. And this is something Nouri does well, creating an environment that helps facilitate those gastronomic needs. Aside from the elegance that comes from its vertical composition, there’s a critical element of the establishment that seems like it’s carried over from Bacchanalia: the chef’s table. Here, the veil between diner and chef blur, inviting customers to have a more intimate experience with their food. Aside from this, it also serves a practical purpose—the unique arrangement means that most of the dishes are lighter in composition since the concept does not allow large fryers or ovens. The overall result, however, goes surprisingly deeper than one anticipates: every moment inside the restaurant is grounded, be it the relationship between diner and chef, or the way one eats and prepares the food. The whole restaurant is an exercise in mindfulness, a return to the importance of food and how it nourishes. Submit a flight request now for a flight as luxurious as the food you’ll feast upon.